Suspension for English Dial and Fusee clocks, with folded brass top & 0.10mm spring steel strip. Overall length of the suspension 65.50mm. 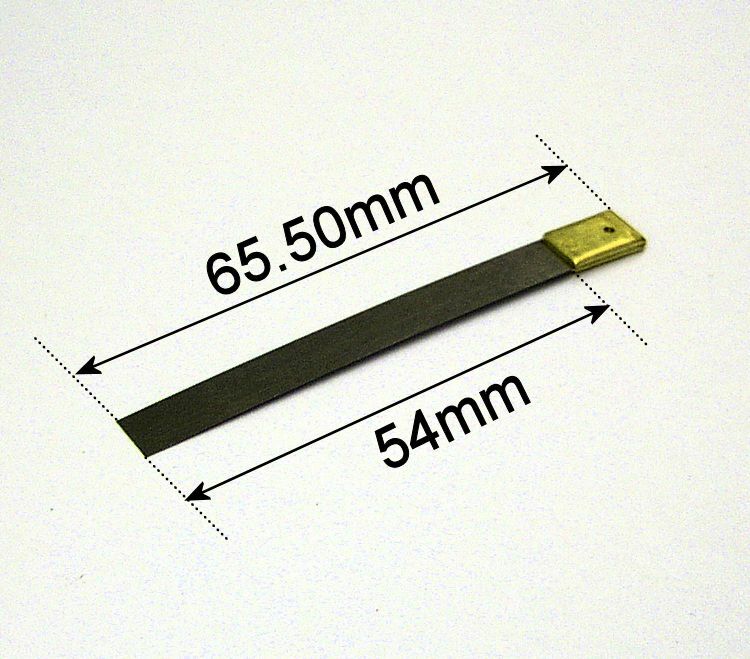 Length of suspension strip 54mm.